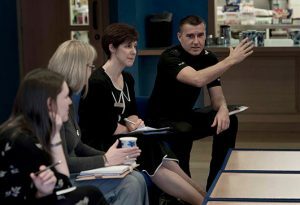 Our aim is to ensure that Community Justice Scotland is a world leader in its field. We’ll achieve that through constant innovation and by working closely with our partners to develop new ways of supporting offenders, their families and the various agencies that help to break the cycle of reoffending, allowing people to make a positive contribution to society. We also have a duty to influence and enable reform and that means working closely with the Scottish Government, the courts and the law enforcement agencies. Community justice focuses on crime reduction and prevention . It is founded on a belief that most crime is preventable and that it can be managed positively for the benefit of our society as a whole. It brings together a wide range of professional partnerships and has a far-reaching remit to ensure that our society and institutions are properly equipped to manage crime efficiently, effectively and fairly without compromising the safety of the general public. Community Justice Scotland is a leader. We take a bold and engaging approach, working at all levels with politicians, experts, the media and the public to shift social norms and challenge conventions. Our focus is on results, seeking solutions that work and deliver the right balance of redress and rehabilitation for our society. We develop and promote a National Strategy for Community Justice, making sure that people understand the benefits in areas like early intervention, prevention and community sentences. We also keep Scottish Ministers up to date with the performance of community justice provisions while constantly reviewing the National Outcomes, Performance and Improvement Framework for community justice in Scotland. We take a collaborative approach to our work, providing constructive support to all our Community Justice Partners. We work hard to find effective ways of working together to improve how each agency promotes crime prevention and manages the punishment and rehabilitation of offenders in society. Can we make Scotland the safest country in the world? Our aim is to drive progress in the field of community justice. We’re open-minded and curious and we actively seek innovation. We follow the evidence, share our findings and convince our partners that change can deliver the results we all seek. We also look to be an inspiration in society, helping to build a safer Scotland where everyone can maximise their potential within a fair and equitable justice system. 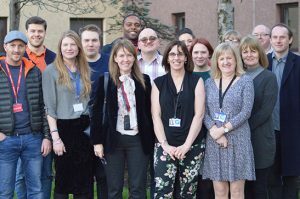 Community Justice Scotland plays a central role in the continual improvement of Scotland’s justice system. We provide advice to Ministers and local government leaders to strengthen how public services, third sector and other partners work together to prevent and reduce further offending. We’re here to make a difference in communities across Scotland, changing lives for the better and improving safety for all. Read our case studies to see how best practice changes real lives. "Career advice is personal. So it has to take account of people’s life experience"
Local authorities around Scotland deliver a wide range of services relating to community justice. Find out what’s available in your local area by visiting your local authority’s website.